Two new cards, a new arena and 3 new chests are the major updates in the latest version of Clash Royale. Plus major re-balancing. Check it out. Looks like Supercell doesn’t stop for even a single second. 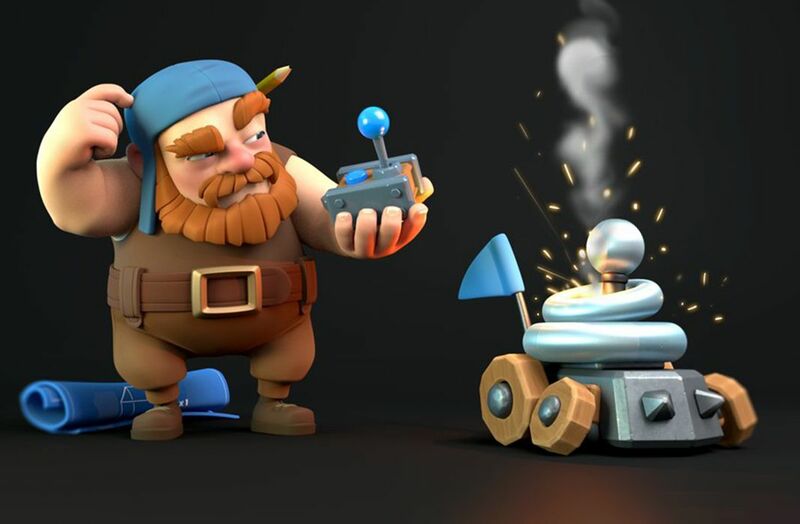 Clash Royale was recently updated with some of the biggest changes in the game’s history. And now they’re back with an update that ups the stakes when it comes to competition by adding in a new twist into the mix. This update is now live with loads of new features you can’t ignore: 2 new cards, 3 chests and a new arena — Electro Valley. Plus you can tweak balance adjustments in new ways. All in all, we’re looking at a pretty electrifying day. The latest legendary cards released in Clash Royale didn’t exactly pan out. That said, Bats are becoming increasingly sought after as an alternative means to refresh players’ stale decks. As per usual when browsing through newly released cards, anyone can guess how Zappies and the Hunter will inevitably play out within the greater scheme of this game. 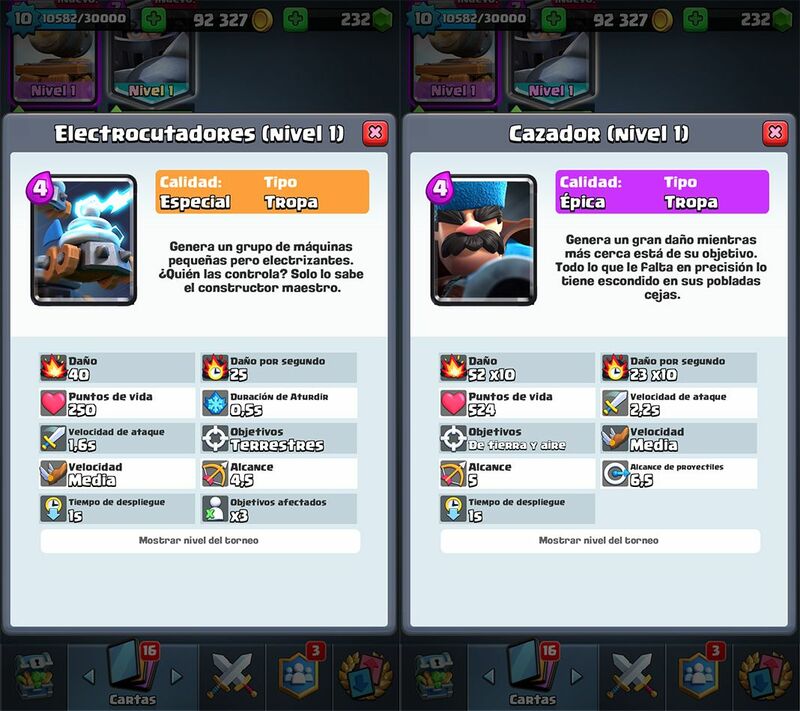 Zappies are special cards with a total cost of 4p. They’re unlocked in Arena 11 (aka Electro Valley) and attack three earth objects with tiny thunderbolts that leave your enemy dazed and confused. After recent changes to the Electro Wizard, we’ll see if it’s to soon become a decent alternative to the Legendary card. The Hunter may have arrived thanks to Movember (with his iconic moustache), but we digress. Let’s take a look at specs: it’s an 4p epic card that is unlocked in the Jungle arena and that shoots 10 bullets with the Hunter’s rifle. As an average shooter, the further you place him from him objective, the less damage inflicted. However, that’s not to say you can’t boost his abilities as a defence card, using a bit of strategy. Lightning Chest: switch up cards 5 times thanks to this chest. Fortune Chest: now you’ll know beforehand which cards are inside. We’re not quite sure of its full description just yet, so you’ll just have to check it out in action. King’s Chest and Legendary King’s Chest: huge chests with even more new epic and legendary cards. Electro Valley is the name of the new arena you’ll get after reaching 3400 trophies. The Legendary arena is now number 12 with more epic and legendary cards than ever before. Along with these new features, there’s tons of new features, like permanently active missions with daily prizes. Plus you’ll notice there are more epic and legendary cards to purchase in the shop for anyone with over 4000 trophies. Not to mention that your max level cards will start to become less common in your shop, along with the Lucky Chest. Check out our video that’ll give you an idea of what Clash Royale could look like if it were turned into an Anime. Hog Riders saw their attack speed drop from 1.5s to 1.6s and their first attack takes place with an additional 0.1s lag. Knight: Hit speed is now at 1.2s from the previous 1.1s. Prince: got a major increase in Hitpoints by +5% and its hit speed went to 1.4s from 1.5s.